The River Ebro has the greatest discharge of any Iberian river, and is the longest in Spain, and second only to the Tajo ( Tagus, in thoery, in English) in Iberia . Its importance is reflected in the name of Peninsula, which almost certainly comes from the river, first known as the Iber and Iberus and Ebro, and not the other way around. It was first used in the 6th century BC by a Greek author in reference to the Iberians, or the people who lived along the Iberus ( Ebro ) river. Ultimately the word may well derive from the Basque words ibai (river) and ibar (valley), and these from ur meaning water. Linguists have noted similarities with the names of 200 other European rivers and streams (e.g. Ibar in Serbia, Ebrach and several Eberbach in Germany, Irwell in The UK) giving a tantalising clue as to a form of Basque being once spoken throughout Europe before the arrival of Indo-European tribes and languages. The source of the Ebro is at the aptly named Pico de los Tres Mares (peak of three seas - which gives birth to three rivers) near Reinosa in the Cordillera Cantábrica in Cantabria, barely 80km???? from the Atlantic coast. However, the river's source is often given a few kilometres downstream at Fontibre, As it moves out of the Cordillera it cuts eastwards across the Peninsula, forming the Ebro Depression and effectively separating the Pyrenees from the Sístema Ibérica. 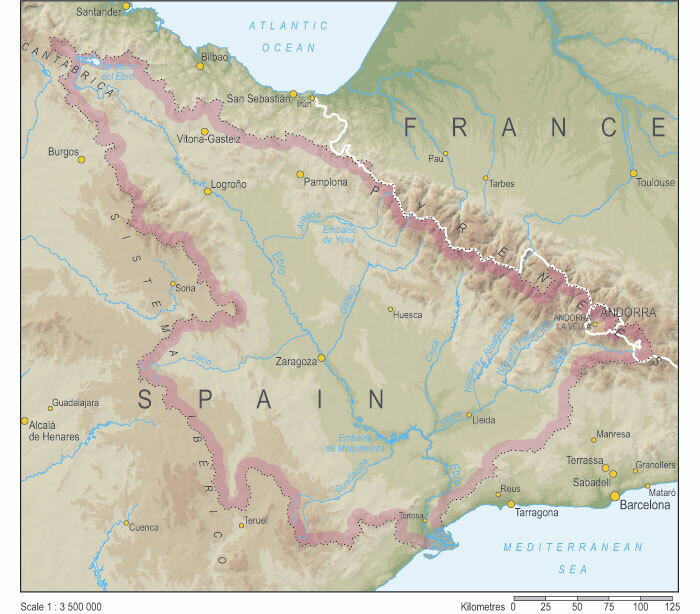 The north bank of the river is fed first by the rivers of the Cordillera Cantábrica and then by those of the Pyrenees, including the Aragón, Gállego and Cinca-Segre, and to the south generally with a lower discharge, by tributaries from the Sistema Ibérico, including the Oja, Iregua, Jalón and Guadalope. Consequently, the Ebro can be said to drain much of the southern Pyrenees and the northern Sistema Ibérico. 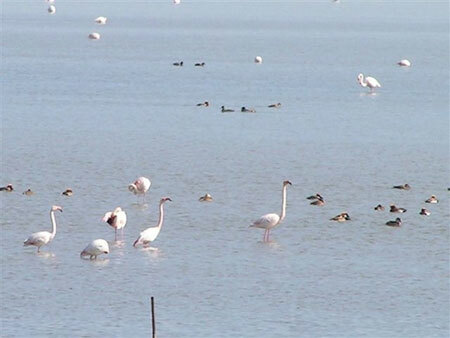 Although the climate at its source is Atlantic, most of the Ebro 's journey is accompanied by a continental climate with low rainfall, scorching summers and cold, dry winters.. This is particularly the case of the arid expanses of central Aragon isolated by oceanic influences, particularly in a triangle formed between Zaragoza, Alcañiz and Lleida. From here it moves into Mediterranean climes proper. This behaviour of the tides, then, according to his account, is general along the whole circuit of the ocean-coast, whereas the behaviour of the Iberus River is "novel, and peculiar," he says, to that river, namely: it floods the country in some places, even independently of rains or snows, when the north winds blow to excess; and the lake through which the river flows is the cause of this, since the lake-water is by the winds driven out of the lake along with the river-water. After travelling across Castilla-Leon, Pais Vasco, La Rioja, Navarra, Aragon and Catalonia, and Mirando de Ebro, Haro, Logroño, Tudela, Zaragoza and Tortosa, the river finally reaches the Mediterranean where it fans out to form the Delta de Ebro covering 320 km², one of the most important wetlands in Europe . Although the existence of the Delta is a natural phenomenon, much of its current shape and extent is man-induced from upstream deforestation and overgrazing of the sierras of its huge catchment area, particularly as the river passed through Aragon . In the 4th century C.E. 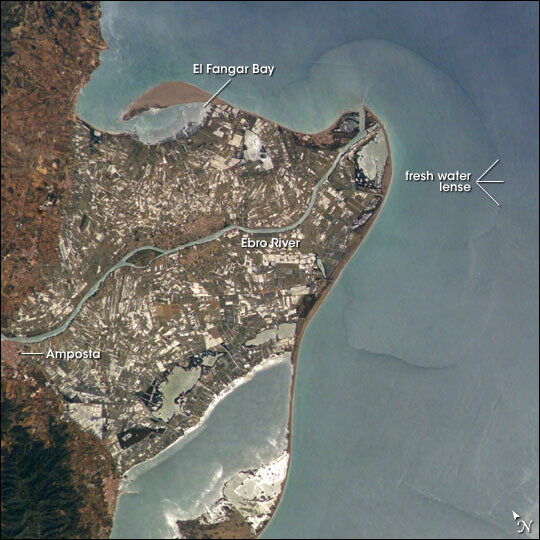 for example the Roman town of Amposta was port with a seafront (see map). 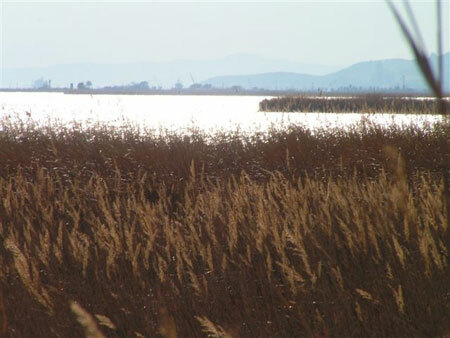 The process was interrupted in the mid-twentieth century when dam-building (Ebro, Mequinenza and Ribarroja) began to block the provision of sediments. 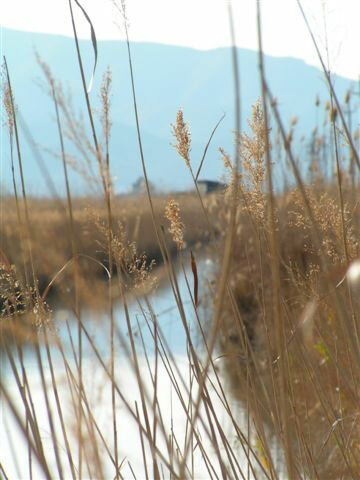 In recent years, the Delta has begun to recede and is thought to be particularly at threat from hypothetical sea-level rises over the next century. The threat is double: one from sea level rise; and two and probably currently more of a danger from sinking without the constant top-up of sediments from upstream.Intensive rice farming covers 60% of the delta. Despite having the greatest discharge of any Spanish river, irrigation is responsible for a significant hydrological deficit: an average of 300 m3/s is taken off the river, reducing average natural flow from 745 m3/s to 430. Although the PNH (a plan to deliver much of the river's water south) has been shelved, the revealing of large deposits of heavy metal and radioactive waste at the Flix reservoir, has cast a new shadow on the river's and delta's future.